Kurt Wallander: It’s just moments, now, Dad. Everything. Just moments now. They don’t join up. Kurt: My memories. My life doesn’t join up. Can’t remember. While watching episode two of Wallander, series four, I began to see the writing on the wall for one of my favorite detectives. A stove left on, nearly burning down the house; a gun left on the seat at a restaurant, endangering a small girl who picks it up. The “writing” on this wall wasn’t written in words, however, but in the slow, crumbling decay of Wallander’s mind. I instantly recognized these signs as the moments of forgetfulness that litter the landscape of my father’s life currently. I should have seen this coming from the very first episode as Kurt cared for his dad who suffered from the same thing my own father does: Alzheimer’s. I had, in fact, forgotten this and the bright lucidity of it came back with a vengeance. By the end of the second episode, I knew what I would be getting myself into with episode three. I knew his end before he did: fiction’s cathartic ability to give prescience to creatures who have none. This prescience gives persons like me a bird’s eye view of a revelation’s effect on people, like myself, when they may not see it in the moment of their own similar revelations. In “The Troubled Man,” Kurt Wallander is being killed off, but not in the usual way. 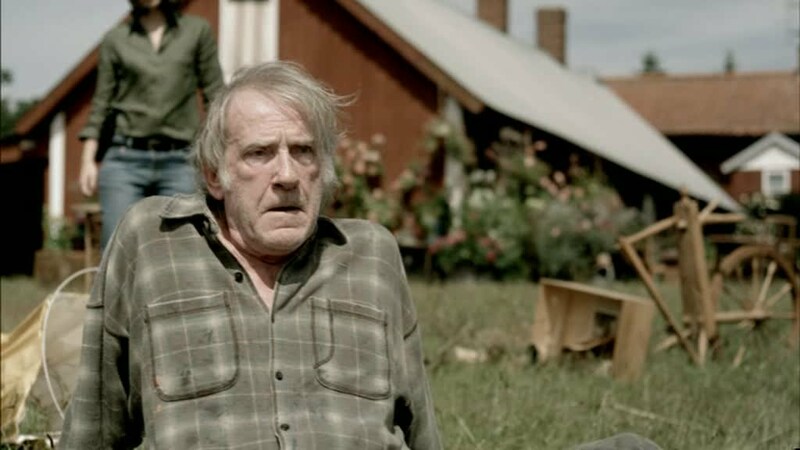 Wallander learns he has Alzheimer’s—probably the result of a genetic predisposition passed down to him from his father. His end will be a slower death; a thief in the night of his mind. As I wrote about not too long ago, it always seemed to me that Wallander’s end would be pulling the trigger on a gun or a bottle. 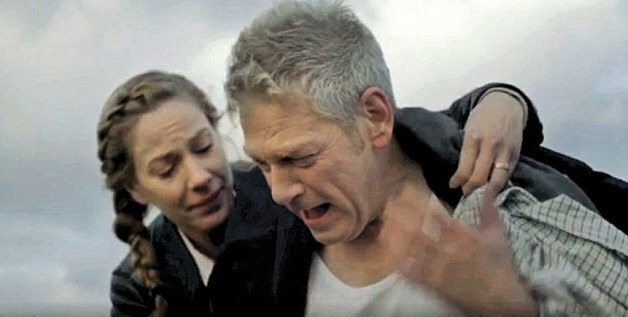 The storyline of Wallander’s relationship with his ailing father, Povel, appeared in the earlier episodes and faded away in the subsequent episodes after Povel’s death on the show. This is often the way it happens in life: a narrative subplot that runs underneath our lives while we go on forging our own destinies—creating our chosen narratives—then becomes the central plot, often against our wills. Wallander would not include this in his story. My father would not either. Nor would I. No one would. Suffering has a brutal way of ripping us out of our solipsistic illusions. It’s an invitation to see reality with more clarity and to invite others into the parts of our lives we hide away. In this final episode of Wallander, we not only experience Kurt’s final case as a detective–involving his daughter’s father-in-law’s dark war past–but we see the deconstruction of a man. 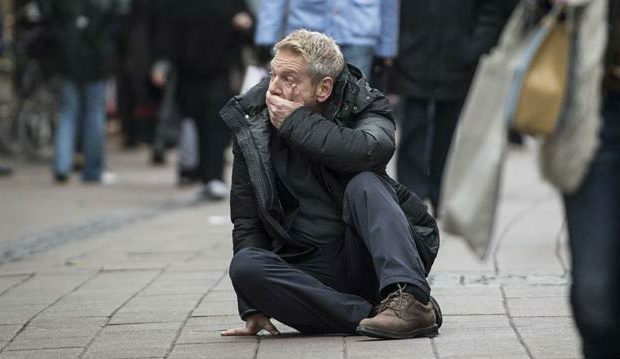 With every labored step he takes–his weakened sway on the way up a stair, his disorientation while driving and during conversations–Wallander is becoming someone new, someone no one recognizes. Not his daughter, Linda. Especially not him. When Linda finds her father manically chasing ghosts behind his house, she chases after him to calm him down, and his only response is to strip off layers of his clothes and violently fling them at her. When a semblance of calm finally overcomes him, she knows instinctively that in that moment he doesn’t recognize her. He asks her, “You are my daughter?” Her eyes, her gestures, and the embodied fears on her face are something I recognize, personally. It is something my sister recognizes. Our father still knows us, but we know he won’t always. We know that disconnect will come. That deepest connection severed. Kurt hasn’t stopped being her father, but he could no longer distinguish her from the sea of faces. No longer being known by someone who has loved and cared for you is a death. All of a sudden this adult is reduced to the scared, tearful child they once were–crying on the phone or over the sticky kitchen countertop of a rent house. We need our father, we need our mother, but our father or mother no longer knows us. Linda: Why didn’t you tell me? I’m your daughter. Kurt: I don’t want you to have to look after me. Linda: I want to. I choose to. This moment, with the weeping eyes of both characters, was a freight train without brakes. For one, I know that I (and my sister) have had those heavy moments between my dad and me where no words or few words are spoken but we are both on the verge of weeping because we both know what is going on. He is still aware of what is happening, of who we are and of what is remaining that will be taken away. And, in another way, I understand Kurt when he identifies himself as being “the son of a father who had this.” I am the son of a father who has Alzheimer’s. I only hope I have the love-driven desire to choose suffering alongside my dad in the way Linda does for her dad in this scene: to know what is ahead and choose to walk alongside what is bad instead of running away. This is a choice made within the freedom of love. Another scene comes at the very end, a conversation between Kurt and his deceased dad, which is contained in the quote at the beginning. For some reason, this conversation put a lot of things in perspective in the midst of the cruelty of the disease that is affecting my dad and countless other people in the world. Right now, his life doesn’t join up. It’s just moments, disconnected. It is easy to see this in his growing inability to track a conversation or to remember and piece together words to form a complete and cogent sentence or thought. It is a terrifying characteristic for a man who taught his kids to be critical thinkers. However, Povel’s final words to Kurt in this scene are joyfully heartbreaking: “Someone else will remember. Someone will remember for you.” The writers may not have intended this but God is written all over the spaces in between these words. Sure, on Earth, my father has his wife, his kids, his mother and friends to remember for him, just like Kurt has Linda. But, really, in the midst of intense suffering which destroys the person physically, mentally, and spiritually comes a promise from long ago. It’s a promise from the one who made us all, telling us: I remember. I remember for you. Be not afraid for I am with you. I will pick you up. I will save you. I will recall those promises you may forget. I finished it for you. I AM who remembers. Wallander’s final bow reminded me of that promise. It is a balm for the soul; for my dad, for my family, and for me. The Lord remembers my dad and all of his memories, good and bad, so that my dad can rest in the calm of his Savior and the memory of God. Lovelovelove this show. Thanks for posting on it Blake! These words of the German theologian Jürgen Moltmann at the end of his autobiography, A Broad Place, describe our own lives and also the life that we have remembered this morning. Although memories faded for Clyde over the last several years, those experiences are nevertheless unforgotten. They are not lost because God has embraced them for him as surely as God now embraces him for for us. This is the joy of Easter.